A Time To Shop | Why Are You Still So Tired? Are you constantly feeling sluggish throughout the day? Are you so groggy in the morning even the strongest Starbucks brew won’t help you become more alert? Does it seem like even if you’ve managed to get a good, full night’s sleep, you still wake up just as tired as if you’d only gotten a few hours of rest? If this sounds like anything you’ve experienced, we may have the answer. If your life is plagued by constant fatigue, you may well have a condition known as Chronic Fatigue Syndrome, or CFS. 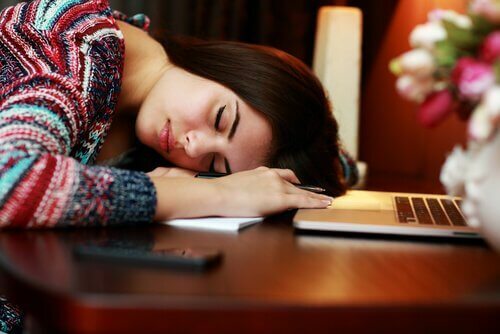 Among its symptoms include headaches, constant tiredness, pain in your muscles, trouble either getting or staying asleep and concentration difficulties. Up to four million people within the United States suffer from this condition. However, women are more susceptible to it than men—at a ratio of anywhere between two and four times greater probability. For many years, physicians believed that Chronic Fatigue Syndrome was an illness of the mind, rather than the body. This continued up until recent years, when Jose Montoya, MD, and other doctors like him discovered differently. CFS is, in fact, not a mental disorder, but the result of malevolent pathogens attacking the body. These pathogens creep into your immune system and leave you severely weakened in several ways. The good news is the research medical professionals have conducted for CFS have yielded positive results. It was previously believed signs of CFS were undetectable. In fact, CFS is most likely to be found through blood tests. A doctor with ample knowledge of this condition and its patterns will be able to pick up signs of CFS through immune-related oddities in your blood cells. The inflammation spreads across your body, lending to your inability to be active and alert throughout the day. Should you be formally diagnosed with CFS, you will likely receive medication in the form of antibiotics, immune regulators and inflammation inhibitors. Your prescribed medications may take some time to take effect; however, within weeks you should start to return to your old self. Even if you receive a diagnosis of Chronic Fatigue Syndrome, you still have a great chance of living a full and happy life. Other individuals with the condition have eventually returned to their hobbies and carried out happy futures. Women with the disorder have even been able to go on to have children. If you suspect your current experiences add up to a case of Chronic Fatigue Syndrome, don’t be alarmed. The best thing you can do for yourself is to see a doctor and get your symptoms evaluated. CFS is just now being acknowledged as a serious disease, but it doesn’t have to be completely devastating to your life and health. Modern medicine ensures individuals with the condition can still participate in life—just as they deserve.